I remember discovering Black Mirror two nights before my first International Baccalaureate exam. Before you knew it, I’d binge watched two seasons in two nights, instead of revising for exams that would dictate whether I was accepted into University or not. I was so engrossed that my priorities had shifted. This alone could serve as a description of Black Mirror. Out of all the audience of Charlie Brooker’s satirical series it is hard to find anyone who remains indifferent: it seems this is the show people either love or hate. This is of no surprise. It is extremely intelligible, and at the same time constantly engaging spectators in a game of a figurative ping-pong – it’s hard not to react when you have a ball flying at you. Interestingly, according to its admirers, Black Mirror projects mostly negative emotions. After each episode you can easily catch yourself sitting for five to ten minutes staring at the black screen in front of you, contemplating what you have just seen. The soul is overwhelmed by the waves of pain and despair, and the feeling of doom may even amplify if you watch the show at night in a complete solitude. That said, this is the reason the show’s detractors give up on it – they feel uncomfortable, and have to force themselves to watch another episode. This rollercoaster of emotions is exactly what Charlie Brooker seeks to evoke: in one of the interviews the creator mentioned that he was aiming to appeal to the audience in a way no other series has done before. Clearly, this was accomplished and left the admirers craving more. 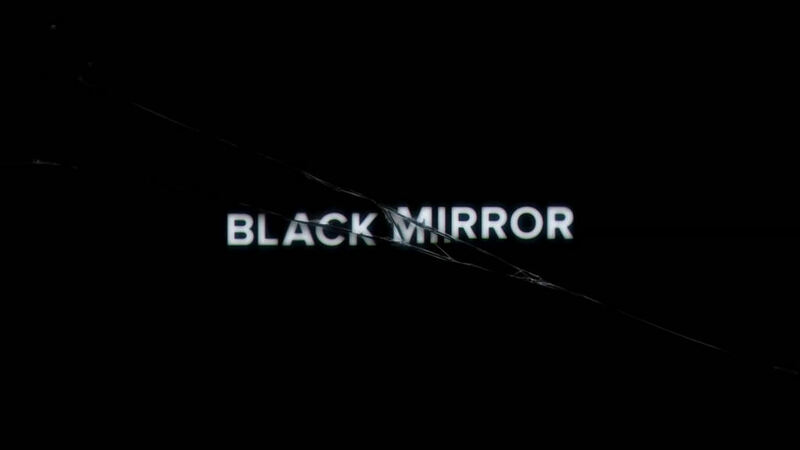 The “more” is about to be given to people – Netflix announced December 29th to be the release date of season 4 of Black Mirror. The show will continue a visual demonstration of scenarios that may happen in the nearest future and what technologies can lead to. Moreover, we will be presented with new gadgets that are not yet available but there is a big chance of them appearing at some point –it is only a matter of time. One of the major highlights of the new season is the contribution of Silence of the Lambs star Jodie Foster. Not only did she direct one of the episodes, “Arkangel”, but she also brought a lot of new ideas to the script, making it even more exciting. Based on Brooker’s short description, the episode will immerse the audience into the world of a mother worried about her child. This becomes an excuse for her to implant a newly released control tool known as Arkangel into her daughter’s head. The consequences, given Black Mirror dystopian style, will likely be devastating. Another episode that stands out to the audience even before the release of the show is “USS Callister”, directed by Toby Haynes and starring Meth Damon (Breaking Bad’s Jesse Plemons). However, this time the key to success is the fact that it was inspired by season 3’s heart-wrenching hit “San Junipero”. This time the degree of risk the creators face is reduced – they already have an idea of how experimental episodes taking place in different realities are accepted by fans. In “USS Callister”, eccentric costumes and well thought-out dialogues will only aid in building the sense of being outside of our planet, and enhance the atmosphere of the episode. Although described occasionally as being a parody of Star Trek, Callister definitely has layers on layers of its own mysteries. In Finnish, there exists an excellent phrase for a common phenomenon of feeling embarrassed for someone whose actions may cast them in a negative light – “myötähäpeä”. For instance, imagine your shame from watching a drunk relative or friend embarrass themselves at a social gathering, or feeling uncomfortable for an actor doing something peculiar on the screen… That is what the audience of the Black Mirror might face when watching the show – a husband losing common sense because of jealousy, a man who betrayed his principles and sold the world, a roaring and ruthless crowd – the reasons are very different, but the feeling is the same. This is where the desire to get inside the setting and intervene is emerging ever more, making people think it is not hard to do everything the right way. But at some point the realization comes over – there is no “right” magical way, and none of the scenarios depicted in Black Mirror have a single correct solution. It is not a test with a multiple-choice answers, but a frighteningly realistic portrayal of life as it is, in its most unsightly manifestations. In such a world, we can only be guided by our moral principles.